We’re currently looking for likeminded riders to join Paceline RT. If you’re enthusiastic about racing and are excited to be part of a new set-up that aims to give back to the sport of cycling, we’d like to hear from you. In his first season of racing Tom has progressed enormously, and after a year of gaining experience and honing his fitness and race craft he’s already making plans for 2nd cat status. My first win at Cutmill, then my further win a week later at Hillingdon. Also a big highlight was the early season training camp in Spain. Turning up to one of my target races for the year completely overtrained and fatigued (Dunsfold 3rds). Only lasted a lap before DNF’ing. Really disappointing. And then recently managing to lose a bag full of my cycling kit! Hillingdon 3/4 race which Sam and I entered late in the season. Went into the race with tactics set to firm against a relatively weak field. Had we attacked from the start and worn the bunch down, I’m almost certain one of us could have won. You can be the strongest rider in any race and still come last if you are tactically poor. Plenty of times this season I’ve raced in a way which has been stupid tactically. Something which I improved upon late in the season. Winter training plans: base miles, pain cave or feet up? Plenty of miles as much of it outdoors as possible. Race at the Velodrome to try and keep some race fitness through the winter. Be competitive at 2nd Cat, win a 2nd Cat race. 10 mile TT pb and sub 21 min. Have fun riding my bike! 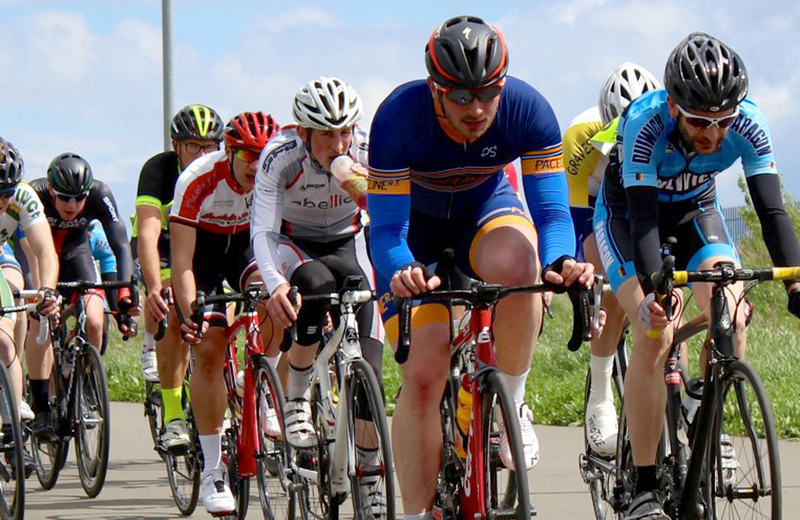 Read more about Tom’s first year of racing on his blog ‘Thoughts of a Novice Cyclist’.